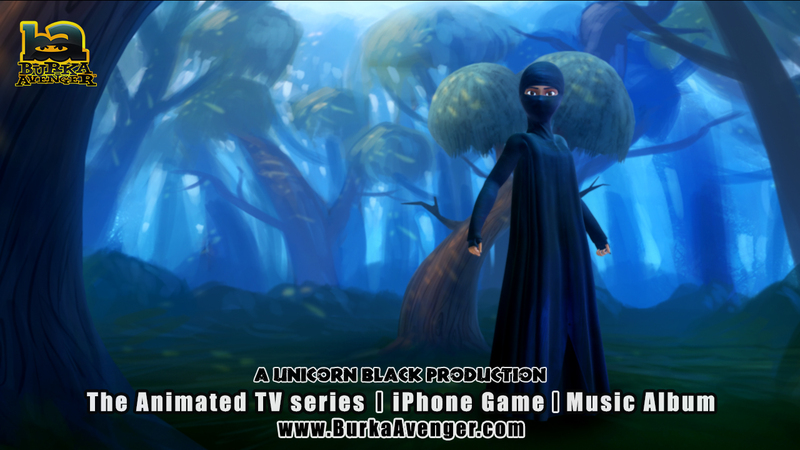 The story about the launch of an animation TV series for children in Pakistan titled Burka Avenger has already caught the imagination of media. Both NDTV and The Times of India have covered it, closely following the coverage in The Guardian, London. What is so special about the series that its trailer and preview have generated so much of interest? I, for one, found the event appropriate for my blog because it covers two of my basic concerns: women empowerment; and the pride of place that books and learning should have in our scheme of things. On the other hand, the fact that the Jiya becomes burqua-clad to take on the enemies of the society has been seen regressive and ironical. One of the readers of this animation story published on dailymail.uk.co commented thus, “The idea of this is to get young impressionable girls to want to wear the Burka.” Another reader wrote, “Propaganda to persuade more girls to cover up and hide themselves, why? Females were given pretty faces by nature, why hide them? It is not a religious thing; it is a way for men to control women.” It appears both the readers are UK-based. On the other hand articles like the one written by Ms. Ema Anis for The Express Tribune, Pakistan (‘What’s so wrong with a burka anyway?’-http://tribune.com.pk) has tried to put forward the angle of ‘freedom of choice’ for those who want to wear ‘burka’. This particular article has also drawn numerous comments, which are mixed. However, to begin with, I would like to go by the rationale given by the maker of the animation series, Aaron Haroon Rashid, popularly known as Haroon, one of the biggest pop-stars of Pakistan, who has been quoted by Daily Mail as “'It's not a sign of oppression. She is using the burka to hide her identity like other superheroes... Since she is a woman, we could have dressed her up like Catwoman or Wonder Woman, but that probably wouldn't have worked in Pakistan.” This rationale seems acceptable because after all it is a commercial venture and it would unfair to expect them to do something at the cost of their commercial interests, set as the story is in a place called ‘Halwapur’, which stands for any typical city of Pakistan. Moreover, Jiya dons 'normal' attire while she is off-duty as a superhero, and gets into burqua-mode only when she is action. To further quote Daily Mail: "The version (of burqua) worn by the Burka Avenger shows only her eyes and fingers - though it has a sleeker, more ninjalike look than the bulky robes of an actual burka." A ninja, as we know, traces its ancestry from ancient Japan, and is a symbol of a covert agent who specialize in unorthodox warfare. In India, day in and day out we get exposed to advertisements and Television serials, where many stereotypical notions of women are (mis) utilised to make the ventures commercially successful and socially palatable. Some of the television screen firebrand ‘reformist and rebel’ female protagonists—from Rajani to Tulsi to Anandi—could never get rid of the traditional male-induced identities of women like ‘managalsutras’, ‘bindis’, ‘bangles’, ‘sindoors’ etc. I only hope that the form of the costumes of the characters of the animation series remains only a form to deflect unnecessary and obvious criticism, and the makers will give enough emphasis to meaningful and entertaining content. I find their website absolutely professionals with all kind of downloadable apps and games woven around the animation series. I do hope that just like many of the legendary writers, like, for example, Christopher Marlowe (1564-1593), who wrote a revolutionary renaissance play Doctor Faustus, within the form of the orthodox religious theatre conventions called Morality plays, the present series will be able to achieve its apparently reformist objectives intelligently and without giving in too much to the pressures of the society and the ‘market’. What is commendable is that the animation series has been made in Urdu and not in English. Separated from her parents at a young age, Jiya was adopted by a wise old Kabbadi Master, Kabaddi Jan. He took her under his wing and taught her the art of Takht Kabaddi, a new kind of fighting style where books and pens are primarily used as weapons in conjunction with a variety of karate moves. To the locals, she is known simply as the demure school teacher but whenever evil is afoot, she takes on her alter identity, Burka Avenger and uses the Takht Kabaddi to defeat her enemies. As the Burka Avenger, she uses the Burka to hide her true identity, which no one knows except for her father, Kabaddi Jan.
Ashu's twin brother and also best friends with Mooli and Golu, Immu is very protective of his sister. He is always calm and composed but tends to be a bit aloof. He is also somewhat fearless and relies mostly on his instincts to get him and his friends out of tough situations. The Mayor of Halwapur, Vadeo Pajero is the typical corrupt politician seeking to gain power and money for himself. 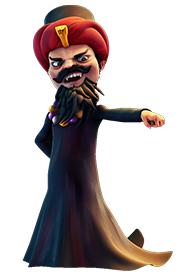 He rules with an iron fist and often partners with Baba Bandook to accomplish his evil projects. He is cunning and crafty and can be quite persuasive when he wants to be. Cute and goofy, Mooli is best friends with Ashu and Imran and accompanies them in all their adventures. He gets scared easily yet has a knack for getting into trouble and Ashu and Imran often have to rescue him. He loves eating mooli and is rarely seen without his pet goat Golu. progress of the people of Halwapur threatens him as content and aware people will have no use for a Jadoogar. He is a mercenary for hire and often teams up with Vadero Pajero in his evil schemes. Most of his time is spent in planning the destruction of the Burka Aveneger. He is supported by 3 henchmen and a crow whom he uses to spy on others. 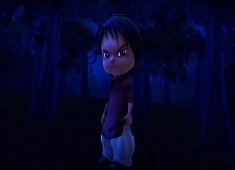 Images of the animation series and the descriptions of the main characters above are courtesy: http://www.burkaavenger.com/ copyrighted and promoted by Unicorn Black and have been used for the purpose of illustrations.